V. Saravanan, A. Anpalagan, I. Woungang, Big Data in Massive Parallel Processing: A Multi-core Processors Perspective , Big Data Storage and Visualization Techniques, Richard S. Segall, Jeffrey S. Cook, Neha Gupta (Eds. ), IGI Global, USA, pp. 276-302, 2018. 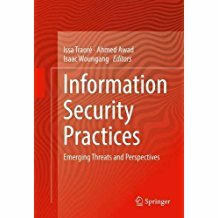 M. L. Brocardo, I. Traore, I. Woungang, Continuous authentication using writing style , in Biometric-based Security Systems: State of the Art and Perspectives, Obaidat et al. (Eds. ), Cambridge University Press, pp. 211-232, 2017. 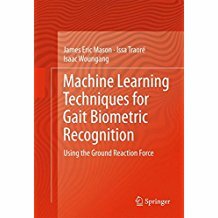 E. Mason, I. Traore, I. Woungang, Facets and Promises of Gait Biometrics Recognition , in Biometric-based Security Systems: State of the Art and Perspectives, Obaidat et al. (Eds. 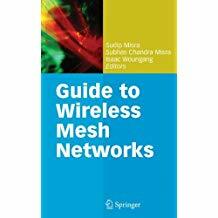 ), Cambridge University Press, pp. 233-253, 2017. A. Gupta, A.Anpalagan, G. H. S. Carvalho, L. Guan, I. Woungang. Prevailing and Emerging Cyber Threats and Security Practices in IoT-Enabled Smart Grids: A Survey, (Accepted Jan 12, 2019), Journal of Network and Computer Applications. In Press. 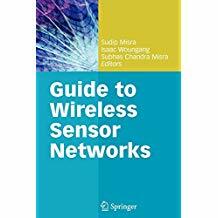 G. H. S. Carvalho, I. Woungang, A.Anpalagan, M. Jaseemuddin, Analysis of Joint Parallelism in Wireless and Cloud Domains on Mobile Edge Computing over 5G Systems, Journal of Communications and Networks, vol. 20, No. 6, Dec. 2018, pp. 1-12. S. K. Malik, M. Dave, S. K. Dhurandher, I. Woungang, L. Barolli, An Ant-based QoS Aware Routing Protocol for Heterogeneous Wireless Sensor Soft Computing, Nov 2017, Vol. 21, Issue 21, pp. 6225-6236. 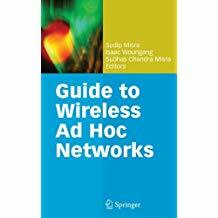 S. K. Dhurandher, D. K. Sharma, I. Woungang, A. Saini An energy-efficient history-based routing scheme for opportunistic networks. Intl. J. Communication Systems 30(7)(2017). A. Alnoman, A. Anpalagan, I. Woungang, Base Station Sleeping Mechanism for Reduced Delay Using Traffic Load Prediction Journal of Traffic and Logistics Engineering, Engineering and Technology Publishing, USA, Feb. 2017. M. L. Brocardo, I. Traore, I. Woungang, M. S. Obaidat, Authorship Verification using Deep Belief Network Systems, Int. 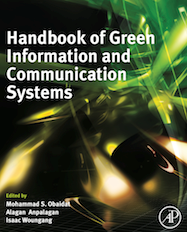 J. Communication Systems 30(12) (2017). N. Gupta, S. K. Dhurandher, I. Woungang, J. J.P.C. Rodrigues, Game Theoretic Analysis of Post Handoff Target Channel Sharing in Cognitive Radio Networks, GLOBECOM 2017: 1-6 .